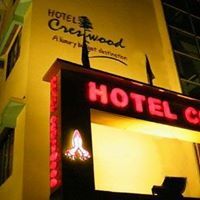 We are pleased to introduce Hotel CrestWood , The first Luxury Budgeted Destination in Kolkata !!! The tastefully designed room are the reflection of the fine aesthetics and high living and here the art of gracious living is practiced to perfection. As youe enter you will experience the elegance and worm hospitality and you will like tha calm and cozy atmosphere here. the enteriors of the rooms are simple and elegant and provide the soothing understand details the declearing travel experts.